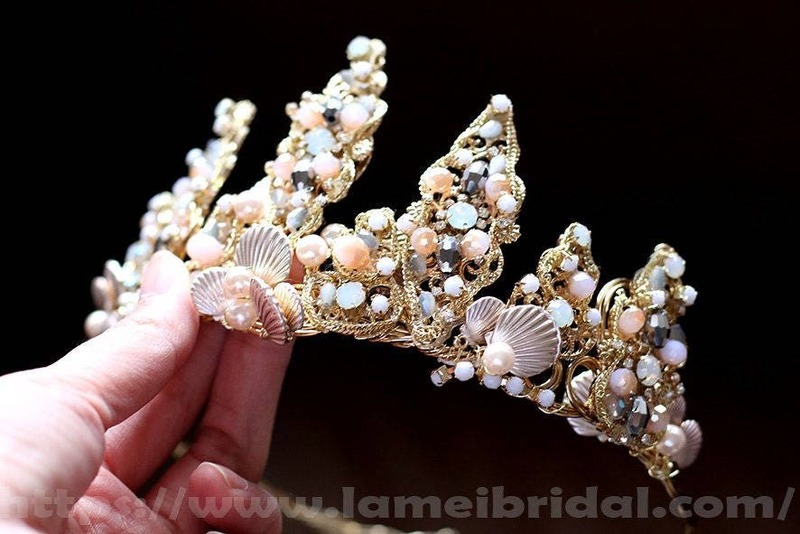 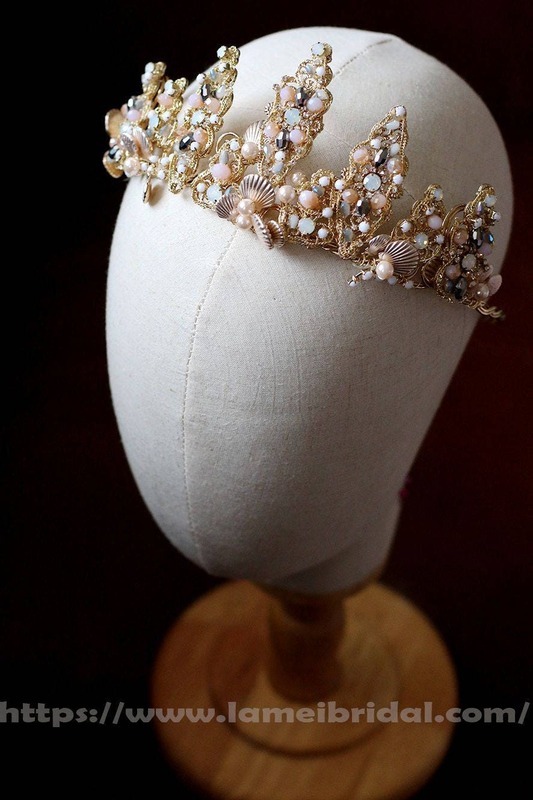 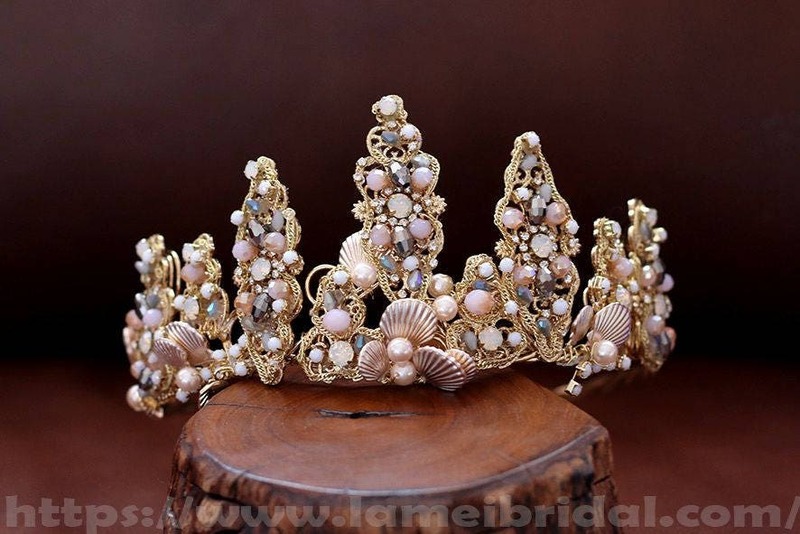 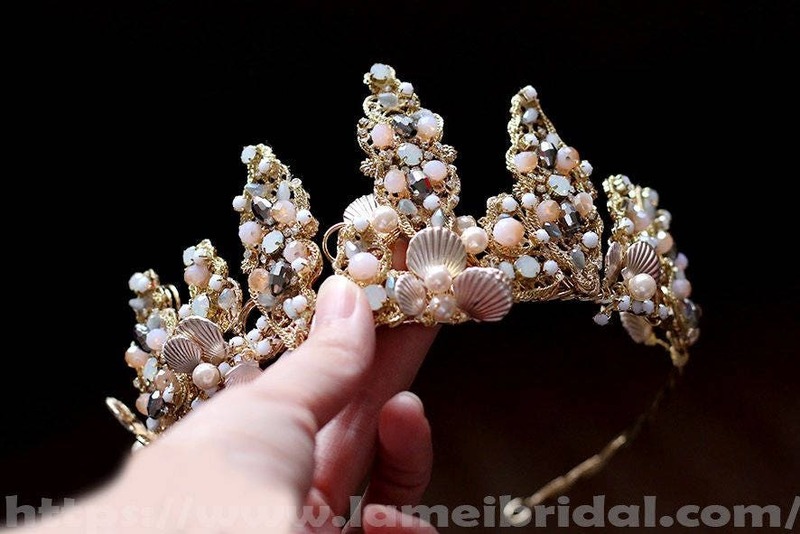 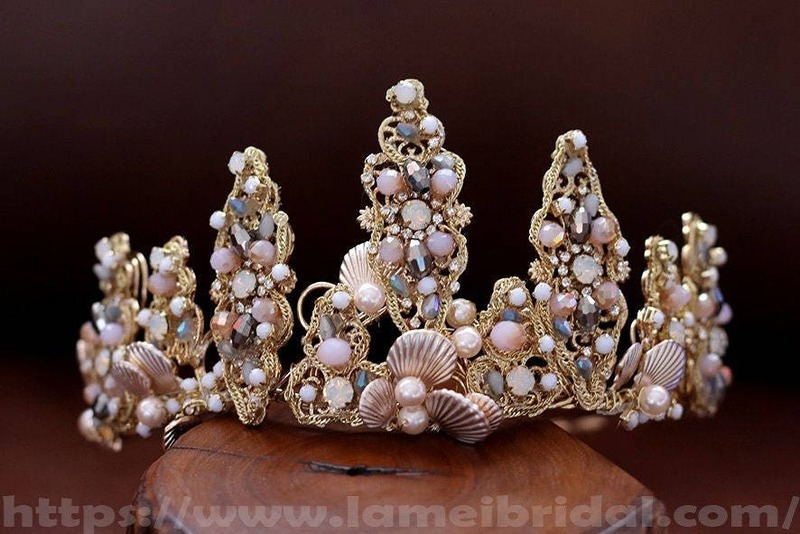 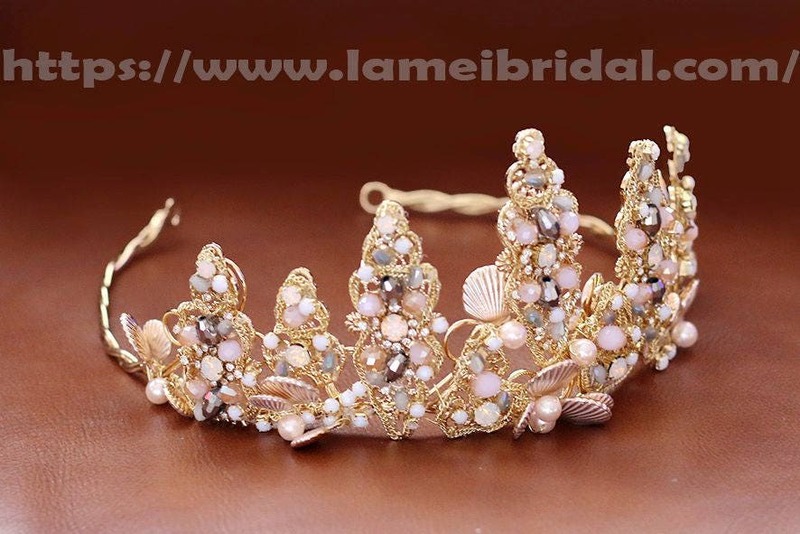 A magnificent crown made of metal braided vines, embellished with seashells, crystal, and mini flowers. 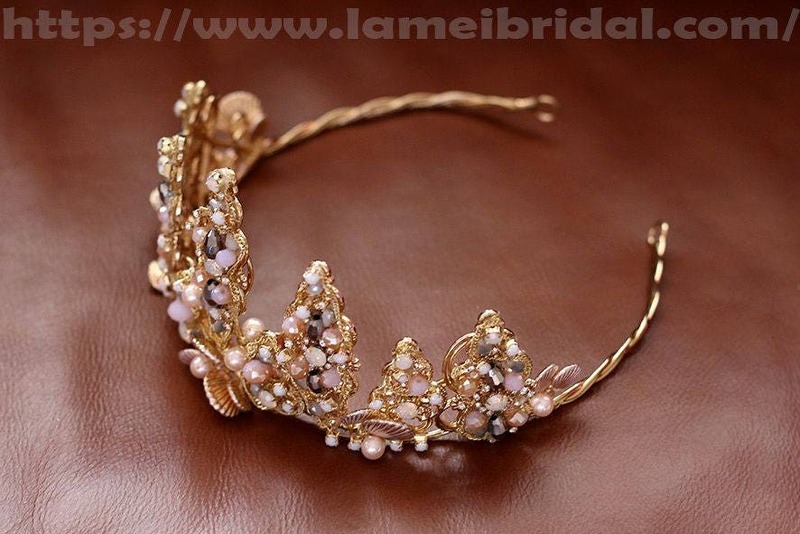 Asymmetrically designed so that one side is full and intricate, then gradually tapers out at the sides. 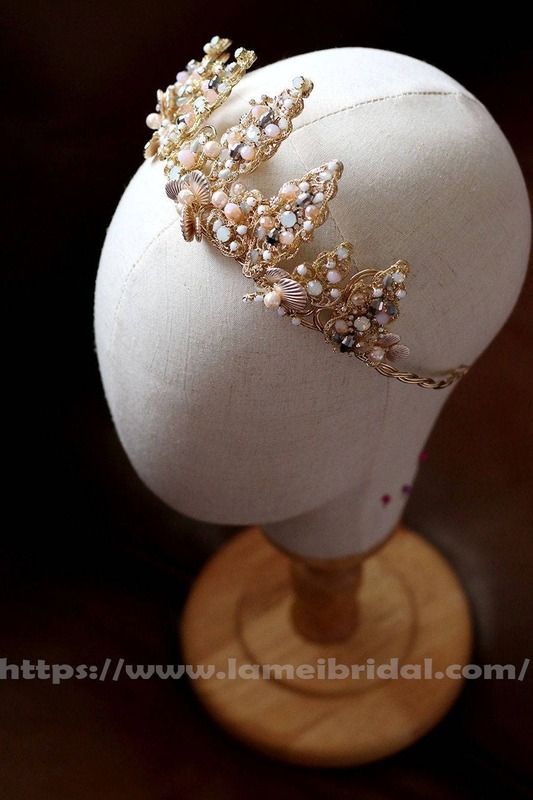 With rhinestone, crystal, and pearl accents... this headpiece is just bursting with whimsical details! 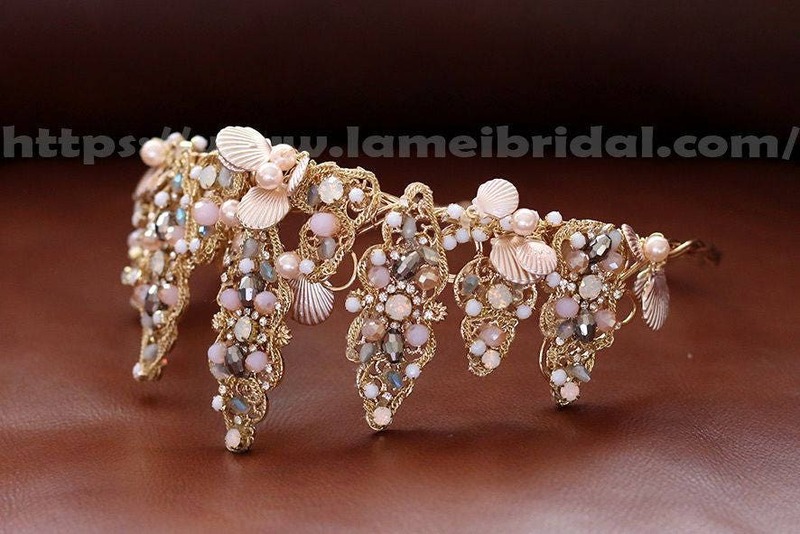 Every angle is delightful to look at. 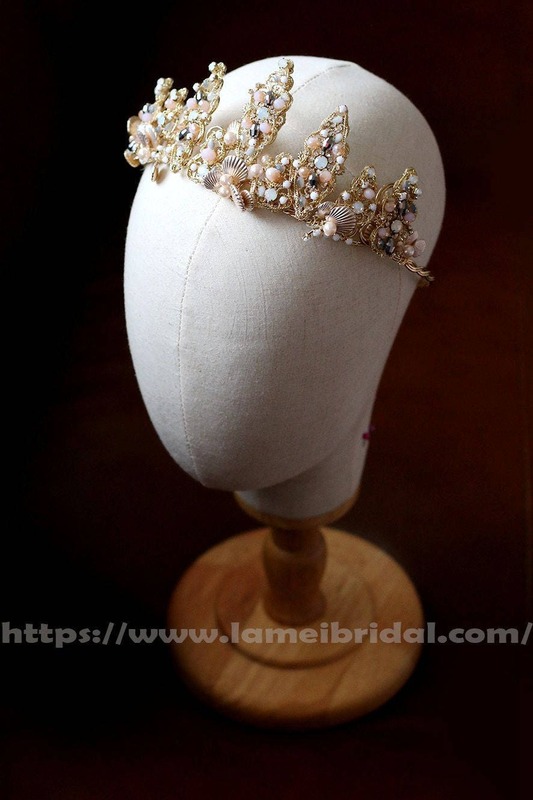 Ties up with white ribbons in the back (included), or you may choose to hide the ends in your hair and pin down to secure.